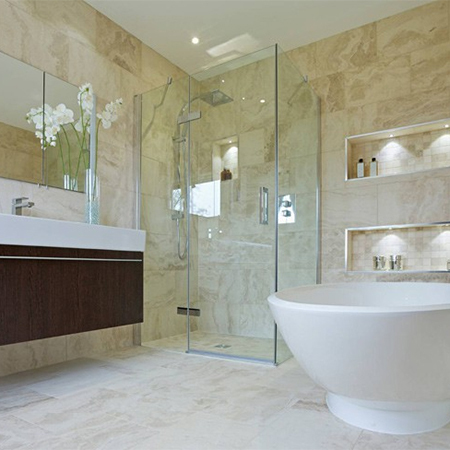 A stunning bathroom should be a luxury everyone can afford. 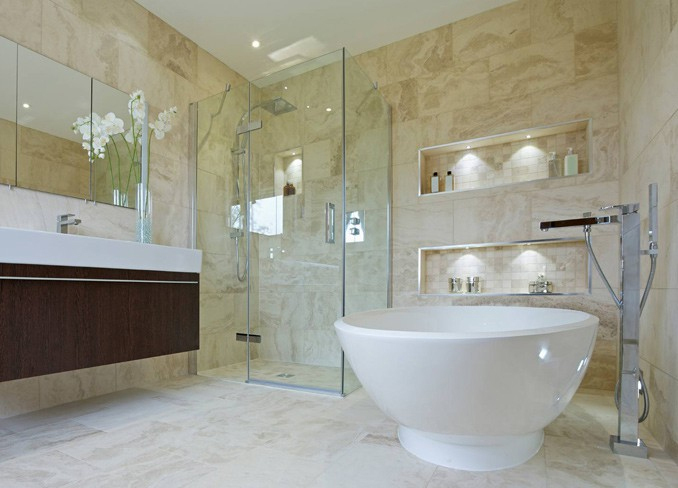 In this article Thermogroup, a UK manufacturer and supplier of electric underfloor heating, discusses 3 easy and cost-effective ways to transform your bathroom from mundane to marvelous. Vario PRO electric underfloor heating uses our unique quality TwistedTwin underfloor heating cable that can be installed in the uncoupling membrane to provide gentle warmth in the desired areas. This is an efficient and luxurious way to heat a bathroom or any room with a tiled floor. Thermomirror EZ De-steamer pads are the fast and easy way to upgrade a normal mirror into a luxury bathroom accessory. The thin de-mister pad is simply adhered to the rear of your mirror and connected to your light switch or movement sensor. Thermomirror™ EZ prevents condensation and gives you clear visibility even after a hot bath or shower, and is available in a range of practical sizes and shapes to suit your design. Thermorail Electric Heated towel rails feature an electrical heating element providing rapid heat up times and that little bit of extra comfort in your bathroom. Something as simple as an electric heated towel rail can transform the feeling of your bathroom. There is nothing like a warm towel! The low voltage Single Heated towel rails can be safely installed in bathrooms and wet rooms. The sleek design and minimal size allows you to install a single rail where wall space is at a premium or mount in multiples for maximum impact!